Dr. Jason Campbell attended Brigham Young University where he played football, majored in chemistry and most importantly, met his wife Molly. He received his doctorate of dental surgery degree at West Virginia University where he served as class president. After graduation Dr. Campbell received extensive training in pediatric dentistry, oral surgery and cosmetics in Atlanta and Athens Georgia while working for two different successful dental groups. Within a few years he opened two practices and acquired a third in the Athens, GA area. Dr. and Mrs. Campbell have five active children. After practicing for 11 years and enjoying southern hospitality they made the difficult decision to move back to Utah to help care for his parents. He sold one of his practices to his brother who is also a successful dentist in Georgia. 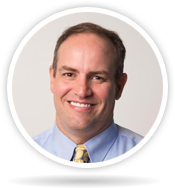 Dr. Campbell has served on the faculty development and admissions committees as well as in the oral surgery department at Roseman University in South Jordan. He was thrilled to open his new practice in Provo. Dr. Campbell’s philosophy in practice is to treat everyone like he would his own mother or child. He is gentle, highly skilled and does everything he can to make each patients experience comfortable and enjoyable. He loves patients and being able to make a difference in their lives. He is an expert in cosmetic cases and smile design and has completed thousands of successful cosmetic procedures. Dr. Campbell is licensed to provide IV conscious sedation and completed a rigorous sedation and advanced cardiac life support class administered by a board certified anesthesiologist as well as a comprehensive implant dentistry course given by one of the top implant experts in the world. When not at work he can be found coaching multiple soccer teams, camping with the scouts and hiking various mountains with his children. He enjoys fishing, hunting and dragging their dog on long runs.